Superstitious Mind deftly blends country and hard rock, providing listeners a perfect introduction to Lim’s rich set of tracks. My Perfect World looks back to the days of Joan Jett and even Joni Mitchell / Joan Baez. The hooky style of My Perfect World will resound loudly in listeners’ minds after the disc concludes. Broken Promise Blues is a stand-out track on this album, as it shows listeners a considerably different side of Lim. Coming to bat with a confident, Courtney Love meets Morbid Angel sound, Lim is able make something that finds the soul of the blues from whence rock came. Perfect Fit ratchets up an early Sheryl Crow sound into something that is tremendously catchy to the widest swath of listeners. The additional cherry on this sundae comes in a raunchy, rocking guitar solo. Distant Second brings the album back to a traditional rock trapping, with the instrumentation providing a considerable boost to Lim’s already stellar pipes. Denial brings Lim’s vocals to a focal point, relegating the instrumentation to a highlighting role; the shift in this balance creates something starkly different from the bulk of the album. What results here is something that recalls desert rock helmed by Patty Smyth, a true high point for this release. Lisa Lim’s self-titled album stays strong throughout each cut, and it is the wide variety of approaches taken by Lim that provide this release with considerable vitality. The album establishes Lim as a bold and inspired female, supported by musicians of the highest caliber. 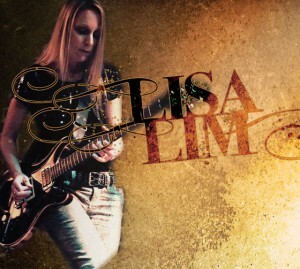 Further information about Lisa Lim, live dates, and photos can all be found at Lim’s website.